Less than 1% of water on Earth can be used by people, the rest is frozen or in salt water oceans. In 1830 one person in the UK used 18 litres of water a day, today that average is 150 litres. EcoFrenzy shows you how to save water, energy, money and the environment when using this increasingly precious commodity. If 139,000 people a day had an ordinary 8 minute shower rather than a bath, this would save 2.5 million litres of water, equivalent to all the water in an olympic swimming pool. Remember to turn off the tap whilst you are actually brushing your teeth, this could save about 3.5 litres of water per brush. 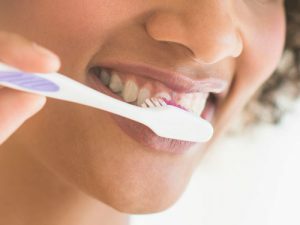 Alternatively use a glass of water for rinsing your mouth and you could save up to 4 litres each time you brush your teeth. Save water and money by sharing a bath, who knows it might even be fun! Running a tap until the water is cold wastes about 4 litres each time. Why not keep a jug of water in the fridge? Install a water efficient shower-head for less than £30 – they work by reducing the volume of water that flows through them to around 7 litres per minute, saving around 8 litres in the same time. The savings on your water and energy bills mean you’ll recoup the money spent on the shower-head in less than a year. Use a bowl of water when washing vegetables or fruit instead of a running tap, you can save about 5 litres of water each time. Then recycle this water by using it to water your plants.